Every one in a while the IRS makes like simpler for taxpayers! In 2013 the IRS simplified the Business Use of the Home deduction. Tax tips for authors on mileage, home office deduction and meal deduction. 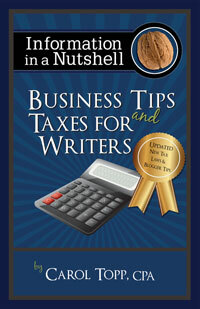 My guest blog post at ProductiveWriters.com explains 8 ways a freelancer/writer/author can lower their tax bill.